Our dedicated attorneys help you and your family make the best of a difficult legal situation. Day in and day out, your family remains the most important aspect of your life. Of course, no family is perfect and disputes or problems arise from time to time. When faced with these situations, you do not have to figure things out alone – instead, call on a trusted and practiced Carlsbad family lawyer who can help you navigate these unfamiliar and often stressful legal processes. Whether you are filing for divorce, seeking custody of a child, or negotiating alimony payments, Beringer Law Firm can ease your burden and support you from start to finish. Backed by extensive family law experience, our team is ready to handle any case, no matter how complex it may seem. We remain dedicated to providing our valued clients with the respect and high-quality legal service they deserve. 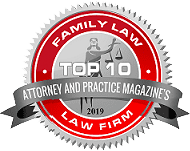 With a vast understanding of the state and federal laws regarding family-related cases, our Carlsbad family law attorneys can help you resolve your problems and disputes through mediation or litigation. Beringer Law is your solution for big-firm experience with small-firm personalized service. Contact our firm for effective legal assistance with your family situation. Call (760) 546-9900.